Want to enter the mind of a Gen Zer? Follow Taco Bell on Twitter. Scrolling through the fast food franchise’s feed is like reading through a high school student’s text messages. There are tons of emojis, technicolor photos of colorful slushies and collabs with celebrity YouTubers like Shane Dawson. The brand’s core message promotes fun, youthfulness and emotional connection – retweeting two teens’ prom photo shoot at her local Taco Bell with the caption “Queens of Taco Bell,” highlighting their Live Mas scholarship fund, sharing their favorite playlists and even posting the occasional meme. It’s not enough to know what matters to Gen Z – school, prom, music, food, the latest memes – you have to know how to communicate and package that message in an authentic way, because there’s nothing more uncool than trying to be cool. It all starts with what Taco Bell’s former Senior Manager of Social Strategy Ryan Rimsnider calls “The Cult of Taco Bell.” Back in the early 2000s, the brand cultivated a mass following with a so-called “bro” or “frat boy” tone. As millennials started to age out of Taco Bell’s core demographic, the brand needed to rediscover what was important to today’s youth. The company developed a bold, artistically rendered look complimented by a voice similar to that of a close friend. Gen Z’s desire for brand intimacy and emotional connection, especially on social platforms, has been well-documented. According to analytics compiled by NewsWhip, Gen Zers gravitate toward human interest stories that can be classified as either funny or emotional. 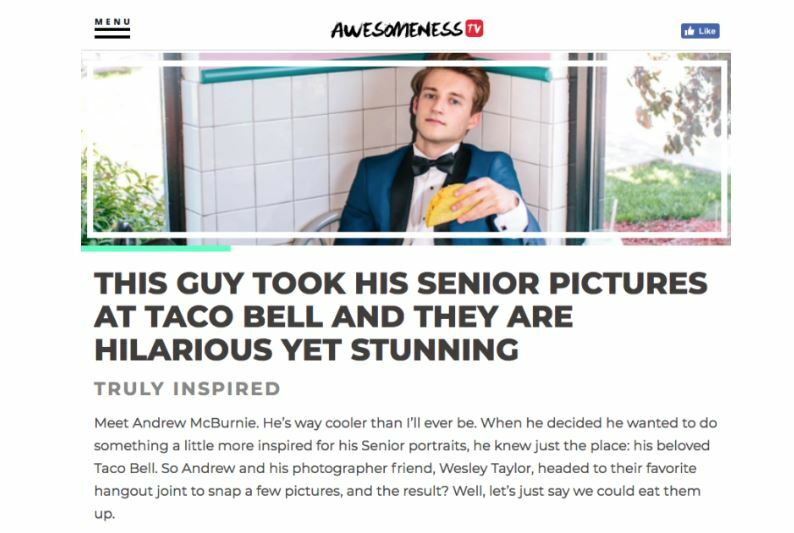 Here, NewsWhip uses Taco Bell as an example of brands that are appealing to Gen Zers the right way, again, with another prom photo story. Clearly, Taco Bell has cornered the market on quirky prom photography. Another selling point is relatability – Gen Zers love to see brands poke fun at their everyday habits and colloquialisms. Taking full advantage of this insight, Taco Bell uses social media to project content that is timely, empathetic, accessible and downright hilarious. 16,473 retweets and 14,020 likes? Now, that is some serious engagement. Last but not least, Taco Bell understands how much Gen Z values social justice and empowerment. According to a study conducted by Entrepreneur, “Gen Z appears to be more entrepreneurial, loyal, open-minded and less motivated by money than Gen Y.” The study notes that 60 percent of Gen Z participants “want to have an impact on the world,” listing “social entrepreneurship” as one of their most desired career choices. 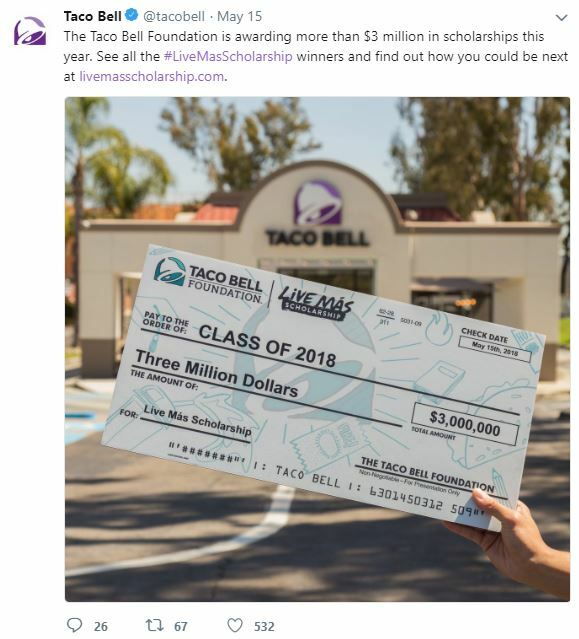 Taco Bell recognizes and appeals to this sense of social awareness with a variety of initiatives, including the Taco Bell Foundations’ Live Mas scholarship program, which awards students with over $3 million in scholarships. As the marketing agency buzzword of the hour shifts from “millennial” to “Gen Z,” Taco Bell has accomplished what other brands have only hoped to achieve – a fresh, vibrant brand voice that authentically caters to their youthful audience of prospective customers. Appealing to Gen Z customers is something that other brands are taking drastic measures to achieve. In 2016, McDonalds hired 200 new employees to shore up their social media division, expanding their digital marketing branches to locations in Singapore, London and the United States. Why? A report by the Wall Street Journal indicated that only 20 percent of millennials have ever tried a Big Mac, which, at first doesn’t sound like a big deal, but it does point to a larger issue. There is nothing more McDonalds than a Big Mac and, when young people don’t buy into a signature menu item, it could mean they’re not buying into the brand as a whole. Community. Connection. Authenticity. Accessibility. These are all crucial factors to consider when appealing to America’s newest generations of customers – and Taco Bell is becoming synonymous with all of these qualities. 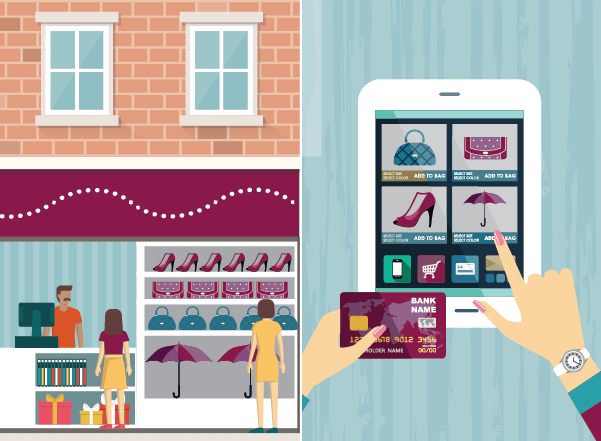 Nowadays, it takes more than the occasional social post to win over customers; people need to buy into the whole package – your brand’s look, feel, voice, everything. When a brand genuinely cares, people can feel it. Blame it on the branding or the nacho fries, nothing is coming between Gen Z and their beloved Taco Bell. Clicks vs. Bricks Part 3: How Low Can You Go?